James M. Beaty, age 82, a resident of Belen, passed away from COPD at the Veterans Hospital, on Saturday, February 2, 2019. He sold his farm in Indiana to move to New Mexico for a family member with asthma. James was born to the late Warren and Anne Beaty, his mother was from Ireland. He served in the US Navy during the Korean Conflict. James belonged to Local 412 Plumbers and Pipefitters Union. He wore many hats; James farmed, was a racehorse owner and a welder. A very special thank you to the wonderful staff at the Veterans Hospital. He was treated with knowledge, experience, kindness and true consideration as a veteran. James is preceded in death by his parents, Warren and Anne; and son Patrick Lee in 1998. He is survived by his wife, Eileen Beaty; son, Jason (Melissa); daughter, Cynthia; son, Mike (Cindy); son, Patrick Alex; grandchildren, Hadley, Candy, Niko, Jenn, Mikie, Sara, and Zaelynn; brother, John; sister, Carmen of Minnesota; favorite nephew, Kevin and good friend, Bud Larsen. He is also survived by numerous relatives back east. Per James’s request, cremation has taken place with a Private family service. In his memory, you can donate to Valencia County Animal Shelter, 1209 NM-314, Los Lunas, NM 87031. Arrangements are being handled by the caring professionals at the Noblin Funeral Service at Belen Chapel, 418 W Reinken Ave., (505) 864-4448. Jose Santistevan was called home by his Lord and Savior to his eternal resting place on December 12, 2018 surrounded by his loving family. He was born in Fort Collins, CO to Ricardo and Silveria Santistevan. He is preceded in death by his parents; Mary, his beautiful wife of 57 years; and his two sons, Lawrence and Richard. He is survived by his daughters, Louis Clayton, Nancy (Pete) Perez, Theresa Santistevan, Veronica (Pete) Duran, Victoria (Michael) Otero, Gloria Santistevan, and Valerie Thurman. Numerous grandchildren, great-grandchildren and great-great-grandchildren; and many niece and nephews. He has also left behind his loyalty fur baby, Cujo. He was a member of Local Union 412 for 66 years as a plumber/pipefitter. He loved traveling around the country, camping, and his favorite pastime was fishing. We extend our sincerest gratitude to the Heritage Hospice staff. Services celebrating his life will be held Friday. A Rosary will recited Friday, December 21, 2018, 9:30 a.m., followed by Mass at 10:00 a.m., both at Thomas Aquinas Newman Center, 1815 Las Lomas Rd NE. Interment will take place at 11:30 a.m. at Gateway of Heaven Cemetery. James W. Costello, 80, died peacefully at home on December 9, 2018. He was born in Cresco, Iowa on September 8, 1938. He is preceded in death by his wife Wanda Costello, mother Anna Arnes-Costello, father Bernard Costello, brothers John and Bernard Jr. Costello, brother-in-law Norman Melver. 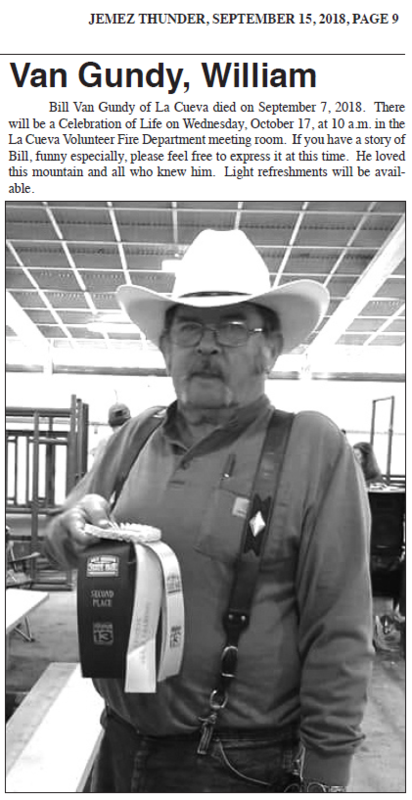 James belonged to Holy Trinity Church in Flora Vista, NM. He was an avid hunter, fisherman, miner and outdoors man. He belonged to a classic car group and four corners mining association. He spent the last few years restoring a 1956 Ford truck which kept him busy and young. He was a Godly man and loved his family. James is survived by his sister Eileen Melver, her children Debra, Dalynn and David and families, sister-in-law Marlene Costello and family, Brother-in-law Roger Coburn and family. Son- Michael W. Costello, wife Julianne Costello, children Stephanie Costello-Racine, husband Kyle, and son Austin James Racine, Stacey Costello, Joshua Costello. Daughter- Joanna Sherwood, husband Harry Sherwood, children Ashley, Steven, Tommy Sherwood. Daughter- Cheryl Rudder, husband Danny Rudder, children Casey Rudder and Shasta LePlatt and families. James our father, grandfather, great grandfather, brother, uncle, friend you will be missed and always remembered. Services will be held Monday at 10 am Holy Trinity Church 42 Road 3520 Flora Vista. Instead of flowers, he would want you to donate to your favorite charity. Obituary for Eddie Sosaya Sr.
Edward Joseph Sosaya Sr. (“Eddie” to his friends, “GaGa” to his family), our wonderful and loving patriarch passed away at home surrounded by his family on Wednesday, December 5, 2018 at the age of 85. Eddie was born in Santa Fe, NM on August 8, 1933. He graduated from Santa Fe High School as a 3-sport letterman. Eddie was a Korean War Veteran serving as a Pipefitter for the United States Navy aboard the USS Shoveler. He went onto becoming a master plumber, business owner, San Juan Democratic County Chair, civil servant with the State of New Mexico Small Business Division and was elected into the NM Democrat Hall of Fame. In spite of his many professional accomplishments, Eddie was best known for being a proud and beloved husband, father, grandfather and great-grandfather. He is survived by his wife, Lucy Sosaya; his children, Patti Guthart (Tom), Eddie Sosaya Jr. (Cindy), Melanie Watkins (Todd); grandchildren, Amy Sosaya, Daniel Sosaya (Jamie), Chris Guthart, Cara Guthart, Ryan Watkins (Amber) and Olivia Holbrook (Brent); great-grandchildren, Isabel and Ian Gonzales, Garrett and Skyler Sosaya, Emmy and Kendall Watkins, Madelyn and Harper Holbrook; brothers, Jimmy and Raymond Sosaya. He was preceded in death by his parents, Frank Sr. and Ida Sosaya; brothers, Frank Jr., Manny and Bobby and sisters, Helen and Dolores. Eddie was a political historian who enjoyed spending time with his family by fishing, camping, golfing, watching Notre Dame football and attending UNM football games, but most of all Eddie enjoyed having family get togethers as we all feasted on Lucy’s delicious New Mexican food. A visitation will be held on Tuesday, December 11, 2018 from 6:00-7:30 p.m. at FRENCH – Westside. A Mass will be held on Wednesday, December 12, 2018 at 10:00 a.m. at St. Jude Thaddeus Catholic Church, 5712 Paradise Blvd. NW Albuquerque, NM. Interment will follow at Santa Fe National Cemetery beginning at 1:30 p.m. Pallbearers are Eddie Sosaya Jr., Tom Guthart, Todd Watkins, Daniel Sosaya, Ryan Watkins and Chris Guthart. Honorary Pallbearers are Brent Holbrook, Ian Gonzales, Mike Gonzales, Eric Childers, Rick Laemmle and David King. Memorial contributions may be made to the American Heart Association at 10900-B Stonelake Blvd Suite 320, Austin, TX 78759 or visiting www.heart.org. Please visit French Funeral’s guest book for Eddie at: www.frenchfunerals.com. Bill E. Brasell died of natural causes on November 16, 2018 in Roswell, NM with his daughters, Tracy Byrd and Carla Lamb, both from Albuquerque, NM by his side. He was 93, born in 1925 in Crosbyton, TX; one of eight children to John and Lottie Brasell. He is survived by his Brother, Wayne Brasell and Sister, Nita both from Lubbock, TX, as well as his daughters and six grandchildren. His Brothers, Rex Brasell and Leland Brasell also deceased were U.A. Local Union No. 412 Members. His grandsons, Matt and Joshua were also U.A. Local Union No. 412 Members. His great-grandson, Prentice Jones is currently enrolled in the Apprenticeship Program at U.A. Local Union No. 412. Bill was a Communications Specialist on the USS MT Olympus during WWII in the Pacific Theater. LeRoy A. Ortiz, age 83, a lifetime resident of Albuquerque, went to be with his Lord on Thursday, July 26, 2018. He is survived by his son, Freddie Ortiz and wife, Penni of Farmington, NM; daughters, Ann Arguello and husband, Leslie of Raton, NM, Joyce Boeck and husband, Dennis of Garland, TX, and Annette Ortiz of Albuquerque; brothers, Bob Ortiz and wife McGee of Farmington, NM, and Rudy Ortiz of Barstow, CA; sister, Gloria Ortiz of Pueblo West, CO; numerous grandchildren, nieces and nephews; and many friends. LeRoy was preceded in death by his beloved wife, Pat of 62 years; son, Mark Ortiz; and grandsons, Joshua Vargas and Aaron Ortiz; parents, Fred O. and Zalma Ortiz; sister, Joan Cornay; and brother, Vernon Wallace. LeRoy was a member and trustee of Local 412 Plumbers and Pipefitters Union for sixty years. He was an avid hunter and fisherman. LeRoy was a loving father, grandfather, brother, uncle and friend and will be deeply missed by all who knew him. A Rosary will be recited Tuesday, July 31, 2018, 8:30 a.m. followed by Mass of Christian Burial at 9:00 a.m. at The Shrine of St. Bernadette, 11401 Indian School Road NE. Interment will follow at Sunset Memorial Park Cemetery, 924 Menual Blvd. NE with a reception to follow at FRENCH – Lomas Reception Center. Please visit our online guest book for LeRoy at www.frenchfunerals.com. Family owned. Family operated. Celebrating 110 years of service. It is with great sadness that the family of John (Bud) Benton, loving husband, father, brother, uncle, grandfather and grandfather, passed away on April 9th, 2018 at the age of 87 after a courageous battle with cancer. Those left to cherish his memory are his wife of 63 years, Margie Benton, his daughter Julie Beth Moore her husband Johnny Moore, daughter Brenda Nebhan, grandchildren, Kelley Meinhardt (Christian), John Malins, Shawn Ross, Cory Ross and great grandchildren, Makayla Malins, Benjamin Meinhardt, Xzavier Malins, Thea Meinhardt. Bud was born October 12, 1930 in Bakersville, Texas to John Albert Benton and Katie Bingham. He graduated from Sunset High School. He married the love of his life, Margie Lea Barnes on February 25th 1955. After moving to Las Cruces, Bud began working as a pipe fitter welder and was a member of Local 412 and later began his own business, Bud’s Welding until he retired. Bud took great pride in his welding and fly fishing skills. He served honorable in the United States Air Force as an Apprentice Weapons Mechanic during the Korean War. Some of the greatest joys in his life were teaching his welding skills and spending time with his precious grandchildren and great children. He was always there to help those in need and will always be in our hearts. Bud was preceded in death by his two older sisters, and son-in-law, Kenneth Nebhan. Death leaves a heartache no one can heal. Loves leaves memories no one can steal. A Visitation is scheduled from 5 pm to 7 pm, Friday, April 13, 2018 at Getz Funeral Home Chapel, 1410 E. Bowman Avenue Las Cruces, NM. Funeral services will be held at 1 PM, Monday, April 16, 2018 at Getz Funeral Home Chapel with burial to follow at Hillcrest Memorial Gardens Cemetery, 5140 West Picacho Las Cruces, NM. Serving as pallbearers will be, Greg Moran, Patrick Halvorson, Butch Parisi, Richard Meyers, Gerry Drake, and Gene Pettit. Honorary pallbearers will be, Arthur Johnson, Pete Bauer, Christian Meinhardt, Mike McElroy and Ken Nebhan. Special thanks to his Ambercare Hospice nurse, Caroline whose love and compassion eased his journey. Caroline you will have jewels in your crown. His home health aide, Josie thank you for always treating him with the respect and care he deserve. All the nurses at the Memorial Cancer Center, our special thanks to Lourdes and Laura who made always put a smile on his face. to sign the local online guest book. On Friday, April 6th Mark Parras, husband, father, grandpa(papa), brother and uncle, went home to be with the Lord. 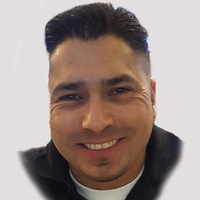 Mark will be remembered forever by his wife and best friend Julie, his girls, Julianna Duran(Gabriel Salcido), Reyna and Marisol, his grandchildren Bubba, Elario, Anneliese and Mateo, his mom Lydia Parras(Hector DeLuna) his sister Flory Rivera(Jimmy Rivera), his brothers Chris Parras Jr.(Dina) and Robert Parras(Virginia) and his mother in law Deborah Serna. Mark will forever be missed by his nieces and nephews. He was preceded in death by his father Cristobal Parras, Sr., his maternal grandparents Apa Julio and Ama Grande Reyna and paternal grandparents Regino and Sofia Parras. A viewing will be held on Thursday, April 12th at 1:00 pm, followed by a prayer service at Newsoul Church, 7311 Glenrio Rd. NW, Albuquerque, NM 87121. After the services his family will be taking Mark home to his final resting place in Bishop, Texas.